If you are looking for a Hulda Clark Zapper, this is it. 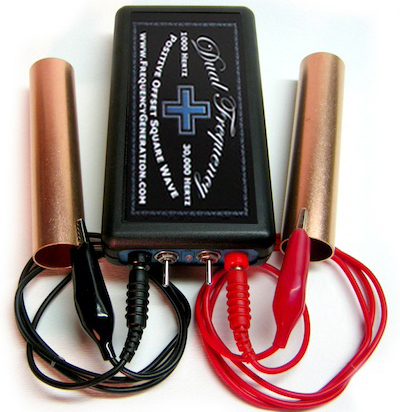 The Dual Frequency Hulda Clark Zapper is the definitive Hulda Clark Zapper. 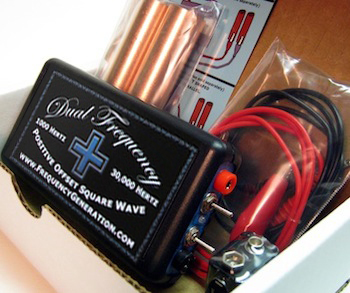 Dr. Hulda Clark defines a zapper as a DC 9 volt battery operated square wave frequency generator with copper handle outputs that is a minimum 1/4 volt Positive Offset. Dr. Clark published two schematics for zappers, first the original 30 kHz Zapper, and later the low frequency 1 kHz Zapper to power North Pole Speaker, for use as a Food Zappicator or Pet Zappicator. Our unit combines the convenience of having both frequencies in one unit. Flip the switch from 30 kHz to 1 kHz depending on your needs. The Frequency Generation Dual Frequency Hulda Clark Zapper is built to fulfill all of Dr. Clark's published zapper specifications, while adding features that make it easy for you to keep zapping. We offer a Risk-Free Guarantee on all of our units: 1 year satisfaction guarantee or your money back (shipping not included). Lifetime repair or replacement warranty for the unit. Wear and tear on copper handles, cables and 9-volt battery are not covered by the warranty. 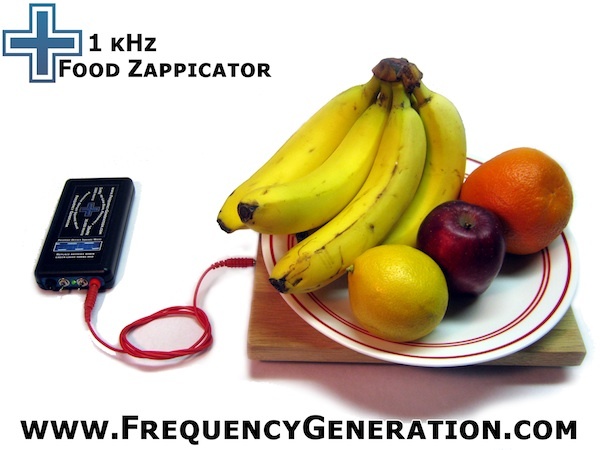 The Frequency Generation Dual Frequency Hulda Clark Zapper Unit comes with a pair of copper handles, a pair of banana to alligator leads, a 9-volt battery and set-up instructions.